When people have nerve damage, they sometimes develop what is known as "neuropathy". In the vast majority of cases, this is peripheral neuropathy, which means the nerves in the extremities (arms, feet, and hands) are damaged. It is an incredibly common condition in the elderly, as well as in people with type 1 or type 2 diabetes. This condition affects the way the central nervous system communicates with the nerves. These include the sensory nerves, which are used for feeling things such as touch and pain; the motor nerves, which control muscle movement; and the autonomic nerves, which regulate the body's automatic functions such as bladder function and blood pressure. The symptoms experienced and the treatment they require, will vary depending on which nerves are affected and what has caused nerve damage. Neuropathy is often a progressive condition. This is why it is very important to seek medical help if you experience muscle weakness in your extremities; loss of coordination and balance; shooting, stabbing, or burning pain in specific areas; or regular tingling and numbness in the hands or feet. This is particularly true if you are also in a high risk category, which includes being elderly, having diabetes, or suffering from a condition that is commonly linked to nerve damage. The type of treatment you need will depend largely on the extent of your symptoms. For the most part, if you are having recurring problems the focus of your treatment will be on reducing the current extent of your painful condition and working to prevent the condition from worsening. Taking steps to keep your blood glucose levels within their ideal target range, if you have diabetes, is usually done with nerve pain medicine, insulin therapy, exercise, and a well-laid out diet plan. 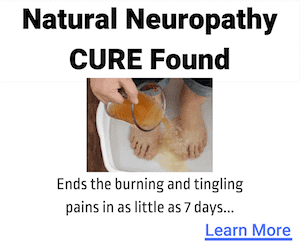 The best treatment will depend entirely on the type of neuropathy and its causes. Often, treatment is hit and miss, which means patients have to try numerous forms of treatment before one is found that works for them. If you have been diagnosed with peripheral neuropathy, diabetic neuropathy, or any other form of nerve damage, you must start by determining what has contributed to this condition. For instance, compression, autoimmune disorders, hormonal deficiencies, vitamin deficiencies, medication-related toxicity, toxin exposure, and infections can all lead to this deterioration of the nerves. Either way, when nerve damage occurs, the nerves’ axons can regenerate over time, so long as the cell of the nerve itself hasn't died. Hence, it is possible to experience recovery if treated in the right way, at the right time. In other words, this is a symptom and not a disease itself, and it is vital that the disease is identified and treated to protect the nerves. Most who suffer from peripheral neuropathy experience painful symptoms that can range anywhere from mild to severe. In cases where the condition is mild to moderate over the counter medications have been very effective in keeping the painful sensations at bay. However, for more severe cases, prescription medications in the form of tricyclic antidepressants, and the antidepressant duloxetine hydrochloride, pregabalin, and gabapentin may be used. While these drugs were specifically designed to control seizures in epileptics or to treat cases of depression, they have been found to be extremely effective in bringing relief from the unwelcome feelings caused by this condition. For those who wish to try a more natural approach to their nerve pain, using time tested therapies like acupuncture and biofeedback have been very successful. These therapies work by either redirecting the flow of energy through certain pressure points or helping the patient to get a better understanding of their body's responses and strategies to help you manage them. Others have tried treatments like physical therapy and massage to get some nerve pain relief. Consult with your doctor. Your doctor can prescribe some medications like duloxetine, pregabilin, amitryptyline, and a number of combination therapies. Inform your doctor about the results of initially prescribed drugs, if there are any positive results and if there any side effects. This will allow him to adjust the prescription accordingly. 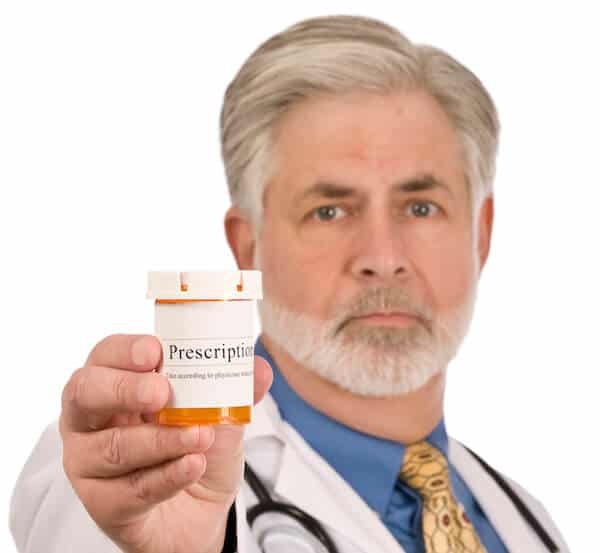 Make sure to follow the prescription properly, especially if opiates have been prescribed. Exercise regularly. Doing some exercises, like taking a walk, will improve blood flow and this can nourish the affected nerves. Avoid alcoholic beverages because alcohol can cause damage to the nervous system. Consider alternative treatments like acupuncture. Acupuncture can stimulate certain points of the body and cause the release of endorphins. Massage or acupressure can also have the same effects. Make lifestyle changes that can bring positive changes to your health. Make sure that your diet contains all of the necessary vitamins, minerals and other nutrients that are good for your health by taking multivitamins or a supplement formula like Nerve Renew. If you have diabetes, follow the advice provided by your physician, especially in monitoring your blood glucose and taking your medication. If neuropathy is associated with diabetes, living a healthy lifestyle becomes even more important. Diabetics need to focus strongly on self-care, looking after their feet in particular. They must also ensure that they properly treat wounds. The same is true in people whose ability to feel pain has been impaired. Furthermore, diabetics must ensure that their blood glucose levels are properly monitored. With autonomic neuropathy, you may be experiencing a whole host of secondary problems in addition to nerve pain. Patients often complain of severe gastroparesis, bladder infections, or foot problems. 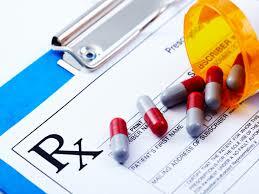 For these cases, you may be prescribed a series of medications designed to address the underlying cause. These could include drugs like prednisone, cyclosporine, or azathioprine used to suppress the immune system or to deal with chronic inflammatory disorders that could be at the root of the problem. Another option is the procedure called plasmapheresis where the blood can be temporarily removed from the body then cleaned of the immune system cells and antibodies and then reentered into the system. For this condition, it is also beneficial to follow the steps previously mentioned. The first step should always be to try over-the-counter medication. These include OTC drugs such as ibuprofen, acetaminophen, and naproxen, one of the best over the counter pain relievers for nerve pain. You should consult your doctor before taking these as some may have adverse affects on the colon or liver if taken in large dosages or longer than recommended. When this is no longer effective, or not effective enough, a number of other treatment options are available. Many are uncomfortable with ingesting drugs of any kind. For these people, the use of topical medication treatments for relief from nerve pain like creams, gels, and ointments can be very beneficial. Painkilling gels and patches can be applied directly to the region of the skin where the feeling of discomfort is prevalent and they come with minimal side effects. For most people, aside from localized spots of irritation there is little to worry about. Commonly, physicians will prescribe capsaicin, which changes the pain receptors in the peripheral nerves and is derived from hot peppers; or lidocaine, which is an anesthetic. Generally, topical medication is only offered if the pain is chronic and localized, which is often seen in people who have herpes zoster (shingles) neuralgia pain. There are a number of prescription drugs that can help to bring nerve pain relief but you must work with your doctor to determine exactly which medication will work best for you and have the fewest negative side effects. They will take many things into consideration before determining the best choice for you like the cause of the discomfort, its severity, and any possible side effects you may experience. There are some anticonvulsants that have been found to be very effective in helping patients to gain control of their nerve pain. Anticonvulsants affect the peripheral nerves, the brain, and the spinal cord. Examples include carbamazepine, topiramate, pregabalin, and gabapentin. These drugs have a powerful effect on the entire nervous system and while they cannot stop the painful feeling completely they have proven to be a good option for dulling the uncomfortable sensation that you may be feeling. Those who take anticonvulsants, however, do complain of feeling drowsy, dizzy, and nauseous so keep this in mind before making a decision to try this form of medication. Antidepressants are often the first choice by medical professionals in the treatment of the painful sensations caused by nerve damage. Antidepressants modulate pain by working on the brain, spinal cord, and peripheral nerves. Examples include serotonin-norepinephrine reuptake inhibotors like venlafaxine, duloxetine, and desvenlafaxine. Tricyclic antidepressants may also be used, particularly amitriptyline. There are two types that are more likely to be recommended for diabetic neuropathy. Tricyclic antidepressants: have been the preferred choice for many who need to manage nerve pain symptoms. 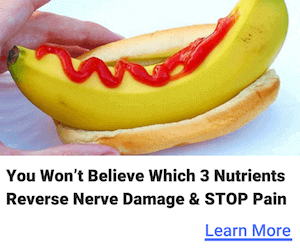 However, while they have proven to be very effective in the treatment of the condition, they are known to cause some pretty extreme side effects like dizziness, constipation, blurred vision and upset stomach. For this reason, they are not considered a safe choice for everyone. 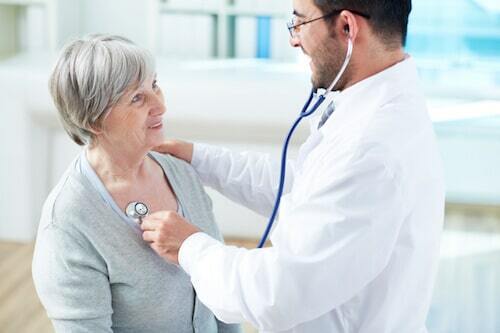 It is strongly recommended that you consult with your doctor about any other medical problems you may have that could lead to complications as a result of these side effects. SNRIs (Serotonin and norepinephrine reuptake inhibitors): SNRIs are the newest form of nerve pain treatment. They are quickly becoming the more popular choice because they have fewer side effects than the tricyclic antidepressants. For that reason, they are considered safe for people with heart conditions or who have other medical problems in addition to the painful feelings. 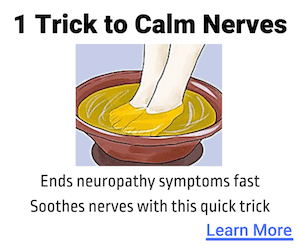 The caveat, however, is that they are not as effective in bringing neuropathy relief. In addition, both types of antidepressants have been found to work well with managing chronic pain, which can in turn improve your mood making life a lot more enjoyable. If neuropathy is caused by an autoimmune or inflammatory condition, various drugs are available. These include immunosuppressive drugs like azathioprine, cyclosporine, or prednisone. In some cases, patients may be offered plasmapheresis. This means that their blood is removed and cleaned, taking out antibodies and immune system cells, before being returned. This is quite an invasive procedure, but it can help to suppress immune system activity and reduce inflammation. Alternatively, abnormal immune system activity can be suppressed using immunoglobulins, which are administered intravenously. Medication such as rituximab can also be beneficial. 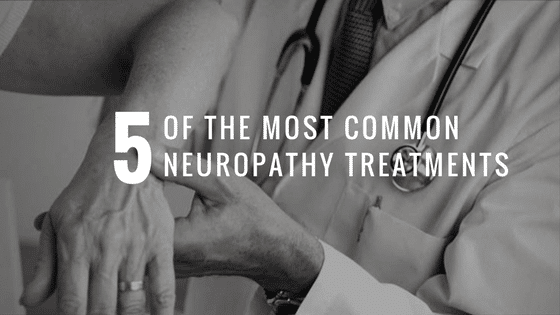 Not all neuropathy is caused by autoimmune or inflammatory conditions, however. Hence, other forms of medication can also be used, such as Antiarrythmic medication, including mexiletine, which is particularly beneficial if the the condition is very painful. For those who may suffer from severe nerve pain, there are also opioids that can help bring relief. For many who suffer from extreme cases these opioids work quickly and can be as effective as the anticonvulsants or antidepressants but the risk of dangerous side effects can be very high. These types of drugs are more often used as a last resort and are prescribed only after other treatments have failed to bring lasting results. Side effects from opioids may include constipation, upset stomach, and a high risk of developing a dependence or addiction to the drug. If you are prescribed these drugs, always follow the instructions exactly as they are given to you with no deviation whatsoever. Interestingly, tapentadol has recently been developed. This is a drug that is a norepinephrine reuptake inhibitor and also has opioid activity. This means it is both an antidepressant and a narcotic agent. Overall, anticonvulsant and antidepressant medications tend to be the most effective in the realm of prescription drugs for neuropathy according to this study. However, since it is a complex condition the success rate of this treatment method varies by individual. In some cases, the doctor may choose to prescribe a combination of treatments to ensure that your nerve pain is better managed. They may combine several kinds of drugs and treatments together to get the best results. Your doctor may prescribe both anticonvulsants with antidepressants or a painkiller to work in conjunction with a topical treatment. The secret to the success in these cases has to do with finding the right balance between the different drugs. Whatever the case, the best results when taking medication come with following your doctor's orders exactly. Before he or she prescribes drugs for your particular type of discomfort , make sure that he is aware of all of the different drugs, supplements, vitamins, and herbs you may already be taking. This can lower your risk of drug or chemical interactions, which can cause even more problems in your system that you may have to deal with later on. If side effects do occur, it's important that you don't dismiss them. Discuss them with your doctor so that he or she can adjust your dosage or even make changes in your prescription to help resolve the problem or reduce the impact they may have on your physical condition. 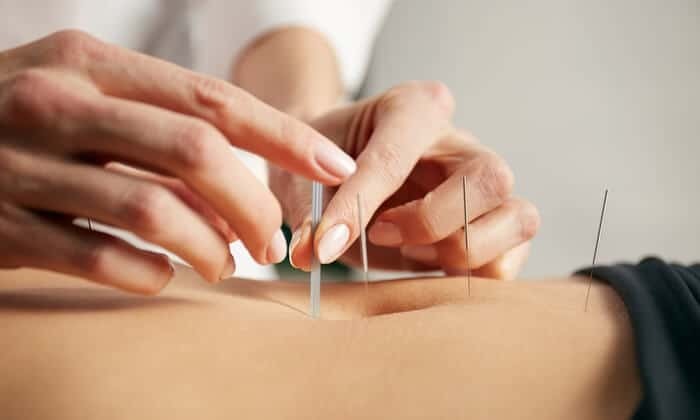 Acupuncture is an Eastern form of medicine that has been accepted as being effective and is often offered after a diagnosis of a medical condition. Essentially, the sensory nerves, found just under the skin, are stimulated with the use of needles. As a result, the body releases endorphins and other pain-relieving hormones, leading to numerous positive effects. Usually, patients require sessions of acupuncture if they are to experience sustainable relief. In the Orient, it is believed that acupuncture releases Qi, which is life energy, which flows through the meridians in the body. They believe that all medical conditions are caused by blockages in the Qi, and acupuncture is used to release it. One acupuncture study suggests that acupuncture may improve nerve conduction in peripheral neuropathy. Regular stimulation through massage of problematic regions where flare-ups often occur can also help immensely. Researchers have learned that by keeping those areas active they are less likely to have cases of nerve pain erupt without warning. TENS stands for transcutaneous electrical nerve stimulation. It is a form of noninvasive pain relief treatment that can help with various conditions. It is commonly used, for instance, by pregnant women, even during labor, and by those with chronic back pain. It is also believed to be able to help those with nerve damage. 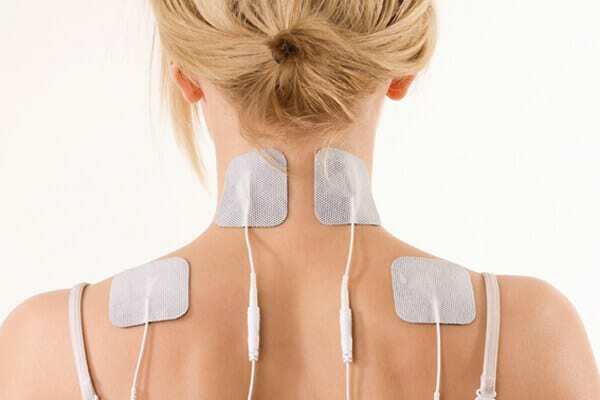 The machine has a number of electrodes, which are placed on the skin in the areas where the pain is found. Gentle electrical currents are then sent through the electrodes. Clinical trials have not yet been able to fully confirm or deny whether TENS is effective, but some studies have shown that people with peripheral neuropathy, in particular, have been able to benefit from it. However, there was one study on TENS that shows promise as a treatment for nerve pain. Neuropathy, or nerve deterioration, is a complex condition and no two people experience it in exactly the same way. The degree of pain that people experience also gets to become progressively worse, with flareups and periods of relative calm in between. Generally speaking, this condition of the nerves requires some form of medical treatment, usually in the form of prescription medication. It is vital, however, that the right pain medication is chosen. Not only does it have to address the symptoms of neuropathy, but it must also be appropriate for the body chemistry of the individual. Furthermore, if patients already use other forms of treatment, either for the same condition or for a different one, the medication must compliment those. But what is perhaps most important of all, is that those who suffer from nerve damage should follow a healthy diet and exercise regime. It is very important, if you have a neuropathy diagnosis, that you focus on leading a healthy lifestyle. You should make sure that your weight is within the healthy range, that you avoid various toxins, that you eat a nutritious, balanced diet, and that you exercise regularly. 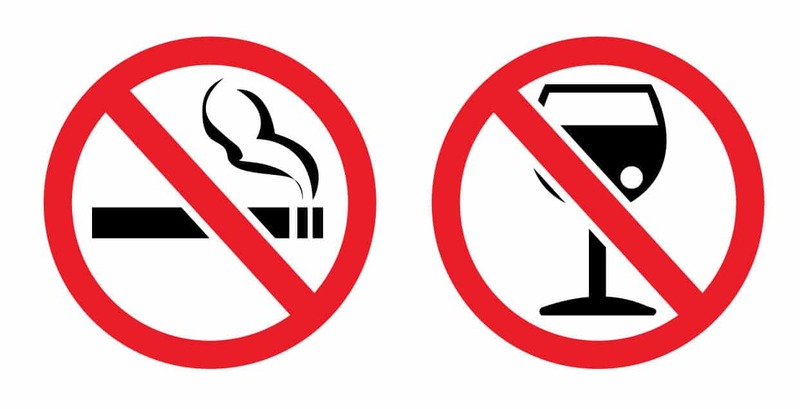 You should also avoid alcohol and smoking, as these constrict the blood vessels. Additionally, a good diet improves any issues with the gastrointestinal system. 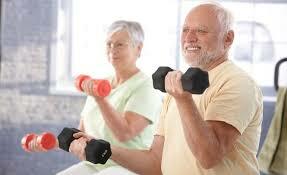 Exercise, meanwhile, can stop muscles from wasting away. Instead, it will strengthen them, thereby also reducing the frequency of cramps. It is important, however, to perform exercises that are suitable to your physical ability. This study on exercise concluded "those benefits of exercise training include improvements in nerve function, reductions in neuropathic pain, reductions in other types of sensory dysfunction." When people experience pain, it means that their tissue is injured or inflamed, and/or that they are ill. Often, pain starts suddenly and it is common for it to get worse under emotional distress. This means that mental health must also be considered in the diagnosis and treatment of pain. This is particularly true in people who suffer from chronic pain, such as neuropathy, as they must be able to accept a continuous reduced quality of life. Often, chronic pain is a symptom of an underlying disease. For instance, neuropathy is commonly associated with diabetes. However, many people who suffer from this condition find themselves trapped in a vicious cycle. They experience pain, which causes emotional distress, which makes the pain worse. The knowledge that this medical condition is hard to treat makes this even worse. What this demonstrates is just how important it is that people focus not just on medical treatments and medication, but that they also focus on themselves. They must identify the root cause of the pain they experience and treat it appropriately. Someone who does not lead a healthy lifestyle, in other words, will experience the symptoms in a far stronger degree. A healthy lifestyle is important in every individual, but even more so in someone with neuropathy. This means that you must maintain a healthy weight, avoid toxin exposure, getting regular physical exercise, making sure your diet is balanced and nutritious, ensuring you consume the right levels of vitamins and minerals (supplementing when necessary), not smoking, and avoiding alcohol. These things all have a positive impact damaged nerves. People with neuropathy often experience cramps, which can be reduced through exercise. It also helps to make the muscles stronger and stops them from wasting away. In terms of types of exercise, people with this condition should focus on at least walking regularly at a brisk pace. Doing so three times per week can greatly reduce the pain associated with this nerve damage. Meanwhile, sports such as tai chi, Pilates, and yoga can all be beneficial. Studies have shown that those who get regular exercise to improve muscle strength and prevent muscular atrophy are better capable of controlling blood glucose levels. In addition, having a healthy diet to ensure that you have a good nutritional balance can help immensely. Meals should be healthy and nutritious. People with neuropathy must be particularly mindful of consuming the right amount of vitamins and minerals and it is usually recommended that they supplement their diet. 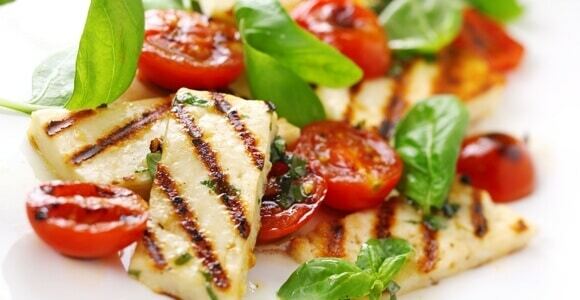 You should eat more meals rich in lean protein, whole grains, vegetables, and fruits. By adopting healthy eating regimes, various gastrointestinal symptoms can be avoided, while at the same time ensuring there are no deficiencies. One study had a group of participants eat a low-fat, plant based diet for 20 weeks. They also took a vitamin b-12 supplement during this time. The study showed improvements in pain and suggests a plant-based diet as a natural treatment for nerve pain induced by diabetic neuropathy. People with neuropathy must give up smoking. Smoking has a constricting effect on the blood vessels, which means that it becomes difficult for nutrients to reach the peripheral nerves. Smokers usually have far worse symptoms associated with this condition than non-smokers. Furthermore, they are more likely to develop complications associated with neuropathy, particularly in the feet. Drinking alcohol should also be avoided as much as possible. This is because alcohol can make the symptoms of nerve deterioration far worse. Studies show that alcohol abuse can be severely damaging to nerve health and make neuropathy conditions much worse. 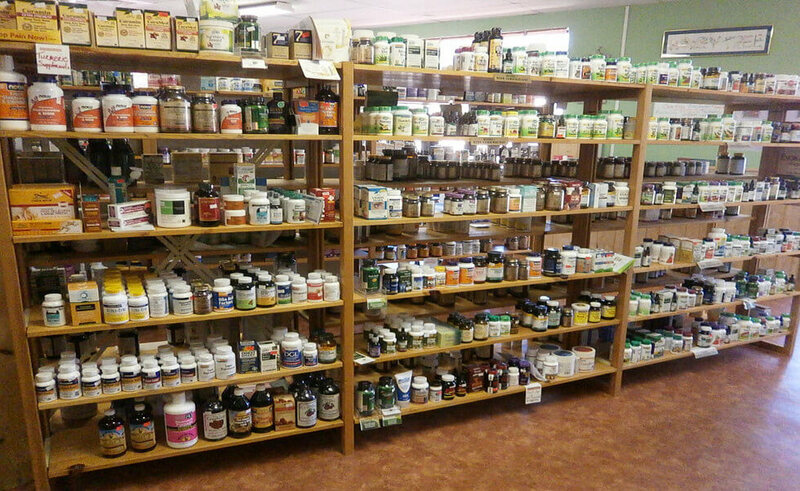 Last but not least, you may want to consider adding herbal and vitamin neuropathy supplements your diet. Many people with neuropathy, and particularly those who are alcoholics, may want to take vitamin B12 supplements because patients have often been found to have a vitamin B12 deficiency. Meanwhile, vitamin B supplements like Methyl B-12, benfotiamine, as well as alpha-lipoic acid, which is a type of antioxidant, may also help. Also, some people claim that herbal remedies are effective, although scientific evidence is still lacking. You may want to consider supplementing with certain vitamins and herbal ingredients, or try nerve support formulas like Nerve Renew. This supplement has been shown to slow down the progression of neuropathic discomfort, dilate the blood vessels and help to boost the body's blood supply so you can reduce the unwanted feelings without running the risk of having to cope with nasty side effects. Vitamins and minerals may not cure neuropathy, but they may provide significant pain relief from the symptoms. Because nerve pain is the result of a damaged nervous system, it can occur at any point in the body. Whether your symptom is the result of damage to the sensory nerves, motor nerves, or the autonomic nerves, there are plenty of alternative forms of treatments and natural home remedies that in many cases can bring relief from the painful feeling without the use of drugs. By focusing on these elements, quality of life can be improved and pain can be alleviated. Not just that, it enables those nerves where the cell is still alive to regenerate, thereby reducing the extent of the condition. Unfortunately, there is no absolute cure for this yet, not in the least because it can be caused by so many different factors. If it is a form of acute neuropathy associated, for instance, with an illness or injury that can be resolved, the condition may also go away. Either way, whether chronic or acute, neuropathic symptoms can always be alleviated by making healthy lifestyle choices. Not only does it ensure the pain is not as bad and that nerves can regenerate where the cell is still alive, but living a healthy lifestyle also helps to prevent future injuries and illnesses. In so doing, it may also help to prevent making your condition worse. That being said, it is very important that you consult with a physician before making any significant lifestyle choices, so that you exercise to your own abilities and take vitamins and minerals that you actually need. A nutritionist and personal trainer should be able to help with this.